Would you like to get a little more space to spare? Do you have new years resolutions involving cleaning or decluttering? I found the right book for you (and me). I will be receiving a copy of "A Mom's Guide to Home Organization" to review and will be posting about it later this month. But I wanted to make you aware of the book and let you know that you can purchase it online if you'd like to read it, too. From the publisher:Are you frazzled by your family's hectic schedule and chaotic household? 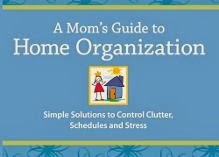 Then try Debbie Lillard's "A Mom's Guide to Home Organization." This book walks you through simple processes and tips for organizing your time, your stuff and your space. The second half of the book addresses how to teach your children the life skill of being organized. 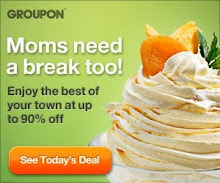 Written by a busy mom for busy moms.